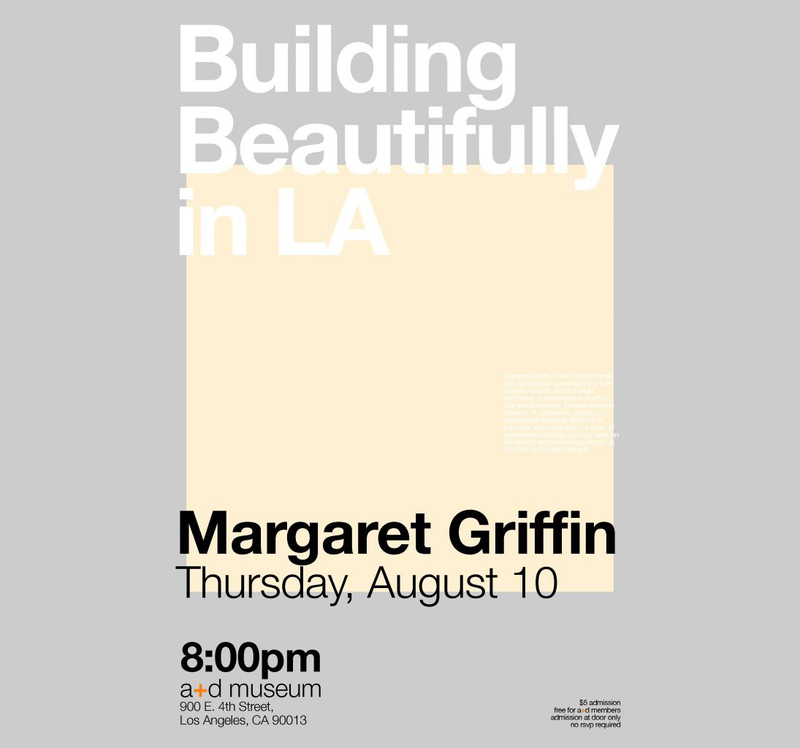 Join us on Thursday, August 10, at 8pm, as we continue our Summer Lecture Series, Building Beautifully in LA, a set of informal talks by LA architects, with educator and architect, Margaret Griffin! Griffin, co-founder of Griffin Enright Architects, and faculty at SCI-Arc, is a daring architectural adventurer who has long emphasized the relationships between landscape and building, site and context. A Fellow of the AIA (AIA|LA), a Rome Prize winner, and all-around design leader, Griffin will share her tremendous insights and experiences. Join us for popsicles and beer under the stars. Only $5, and always FREE for members.